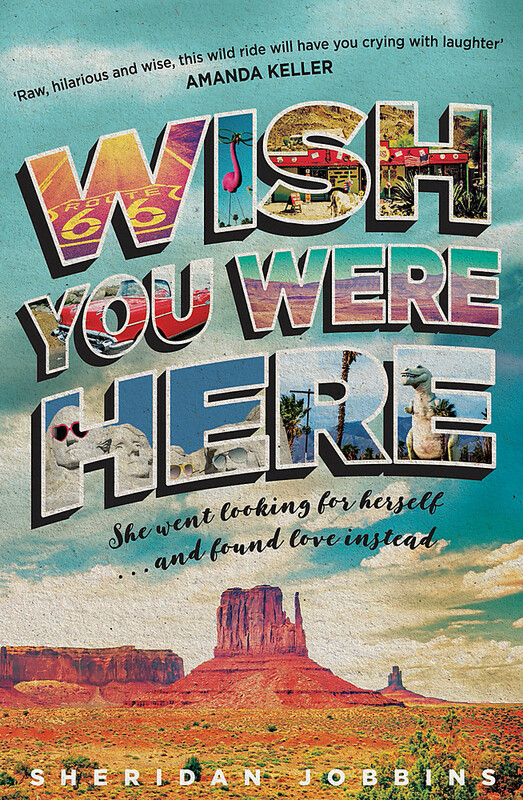 Raw, sharply funny and heartfelt, WISH YOU WERE HERE is a girl's own adventure with bite, a rollercoaster ride that will make you itch to hit the road with this irresponsible and irresistible adventurer. Reeling from the collapse of her marriage, and after a late night enjoying smashing her china a bit too much, Sheridan Jobbins decides she needs to do something drastic - so she buys a shiny red car and drives across America. Born in Melbourne, Sheridan Jobbins is a third generation Australian film maker. She kickstarted her career as one of the original celebrity chefs on Cooking with Sheri, earning a Guinness World Record as the youngest host of her own show at the age of nine. She was presenter on numerous TV programs, including Simon Townsend's Wonder World! and Good Morning Australia. She was a director of the film company Latent Image Productions which produced the award-winning film The Adventures of Priscilla, Queen of the Desert. Since 2000 she has co-written screenplays with director Stephan Elliott for Disney, Warner Bros, Working Title, Hopscotch and Ealing Studios. She has published numerous short stories and articles, and mentors other screenwriters on her website www.scriptwhisperer.com. WISH YOU WERE HERE is her first book. Her body's in Switzerland, her heart's in Australia - fortunately they get together quite regularly.